Yesterday, scientists for Canadian Health Authority suggested that men should take a look at their beer consumption, considering the results of a recent analysis that revealed the presence of female hormones in beer. The theory is that drinking beer makes men turn into women. 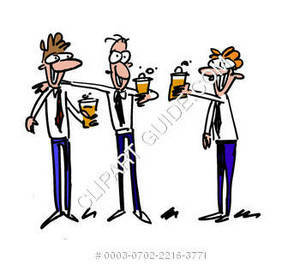 To test the finding, 100 men were fed 6 pints of beer each. It was then observed that 100% of the men gained weight, talked excessively without making sense, became overly emotional, couldn't drive, failed to think rationally, argued over nothing, and refused to apologize when wrong. No further testing is planned. They are the same. Is good to feel and to understand what is woman. Right? Not all men like beer. Not me! I prefer a good cup of coffee in the morning and a relaxing tea in the afternoon.